There is an alternative for locked-out phones, if running beta software is your thing. Our review of the Creators Update for Windows 10 Mobile may have shown it to be a half-hearted update at best, but a substantial portion of Microsoft's base of installed phones won't even have a chance to experience it. A report by AdDuplex, an ad network running on top of Windows devices, found that four of the top ten Windows phones won't be allowed to upgrade to Microsoft's latest feature update. 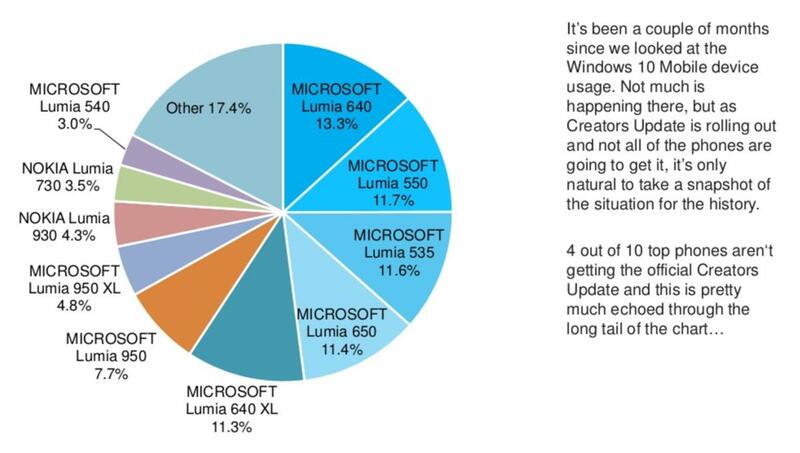 That works out to about 40 percent of all Windows phones already in the hands of users. Only 6 out of the top 10 best-selling phones are eligible for the Windows 10 Mobile Creators Update, AdDuplex found. Just thirteen phones are eligible for the Windows 10 Mobile Creators Update: some recent Lumias (the 550, 640/640XL, 650, and 950/950XL), two Alcatel phones (the IDOL 4S and OneTouch Fierce XL), the HP Elite x3, and a few others. Unfortunately for Microsoft users, that means many popular older phones can't be upgraded. The Lumia 535, the third-most popular Windows phone, is ineligible, as well as the eighth, ninth, and tenth most popular phones: the Lumia 930, the Lumia 730, and the Lumia 540. The recent Acer Liquid Jade Primo, as well as popular older phones like the Lumia 1520 are similarly excluded. By AdDuplex's standards, 39.2 percent of all Windows phones won't be eligible to receive the Creators Update. There is an escape hatch, however: Even officially unsupported phones can download the Creators Update via the Windows Insider program, which puts beta builds on the phone. If users sign up for the Release Preview, they'll essentially upgrade themselves to an "official" release. But those phones won't be officially supported, either. Microsoft's Windows 10 Creators Update for Mobile begins rolling out today for the Windows Insiders on the Release Preview ring. It's also assumed to be rolling out as part of a "stable" release, too, but that hasn't been confirmed. What this means: Many people are simply talking openly about the death of Windows phones, even if Microsoft has yet to admit it. 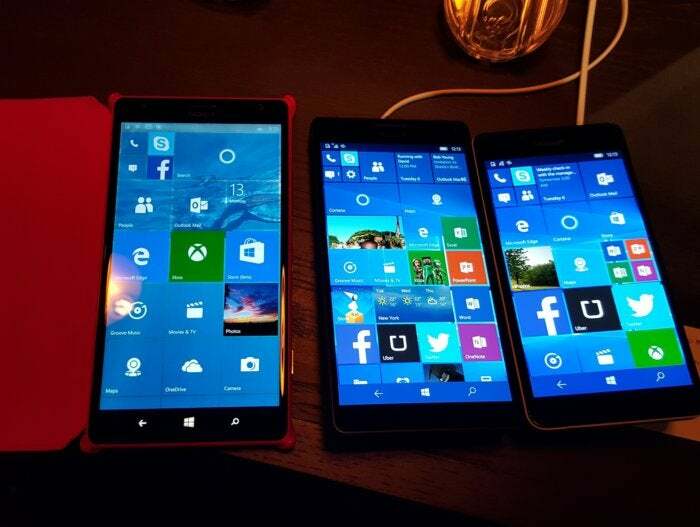 ( For the month of February, Windows phones held just a 1.7 percent market share in the United States, according to Kantar Worldpanel.) Even if Microsoft hasn't lost its mobile ambitions, telling 40 percent of its customers that they'll be unable to upgrade without buying a new phone (and how many will do so?) or going into the Insider program seems like just another nail in Windows Phone's coffin. This story was updated at 12:36 PM with additional details about the Windows 10 Mobile Creators Update release.